The Commodore, steamboat builder and pilot, Cornelius Kingsland Garrison (March 1, 1809-May 1, 1885) started building his fortune by building steamboats and operating his St. Louis steamboat company. He went on to make another fortune in banking. Garrison also served as mayor of San Francisco for a brief time in 1853 before he moved to New York City. 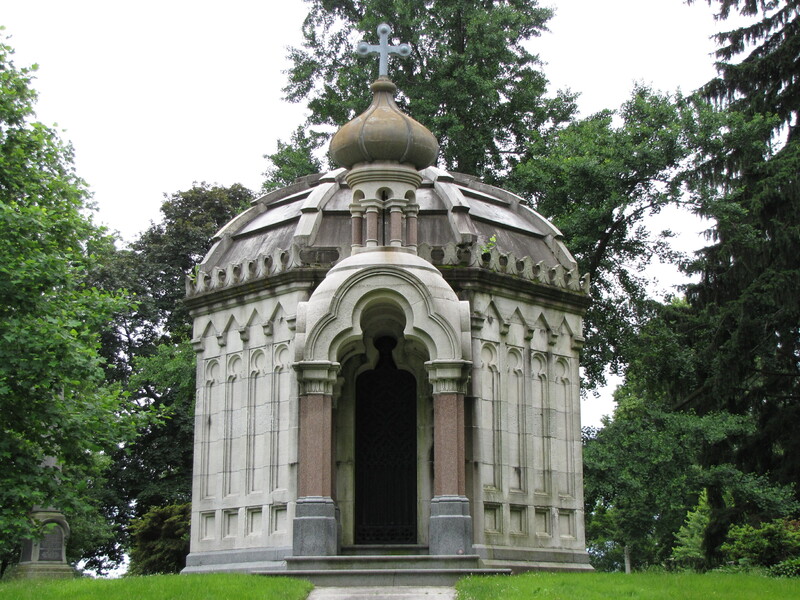 Garrison died in 1885 and the famed architect Griffith Thomas designed his Green-Wood Cemetery mausoleum at Brooklyn, New York. Thomas was a notable and prolific architect with many buildings in New York City as part of his legacy including the Arnold Building, the old New York Life Insurance Building and the Gunther Building. 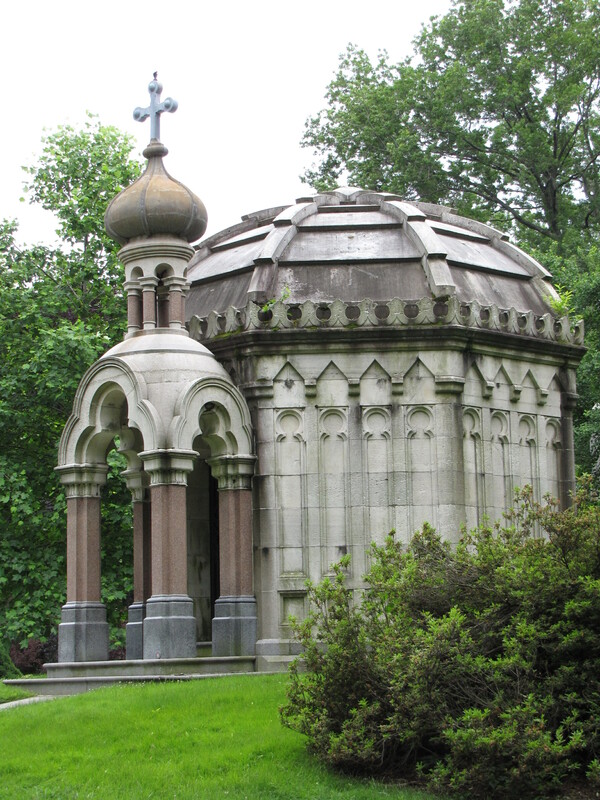 For the Commodore’s mausoleum, Thomas combined several architectural styles—Byzantine, Moorish, and Islamic—to create a striking tomb with an onion dome topped with a cross over the entrance. Onion domes are characterized by having a bulbous onion shape which is larger than the drum on which it sits. Minor point, but his name was Cornelius Kingsland Garrison, not Kingston Garrison. Thank you for catching my mistake with his name. I have corrected the post.